Let your BOOTS do the talking this Winter! | The Shopaholic Diaries - Indian Fashion, Shopping and Lifestyle Blog ! I am sure you all must have finally taken out your favorite boots to wear in this chilly weather. And if you haven't yet invested in a great pair of boots, it's the right time to do so! These peek-a-boo boots have a chic and sensuous cut-out design with a high heel. These are perfect to pair with those classy LBDs and overcoats with a sequinned clutch and statement neckpiece. A pair of knee-length, classic tan boots is a must-have in every wardrobe as they go well with almost every casual outfit- be it a dress, skirt or pants. The flat sole is perfect if you are out for a shopping spree or day-out with friends. These boots are more like casual sneakers which will look good with jeans or jeggings, colourful tees and jackets. One of my favorite styles is a medium-heeled pair of boots in brown faux leather, which reaches till the knees. One can pair these with a cool jacket, shorts and stockings. 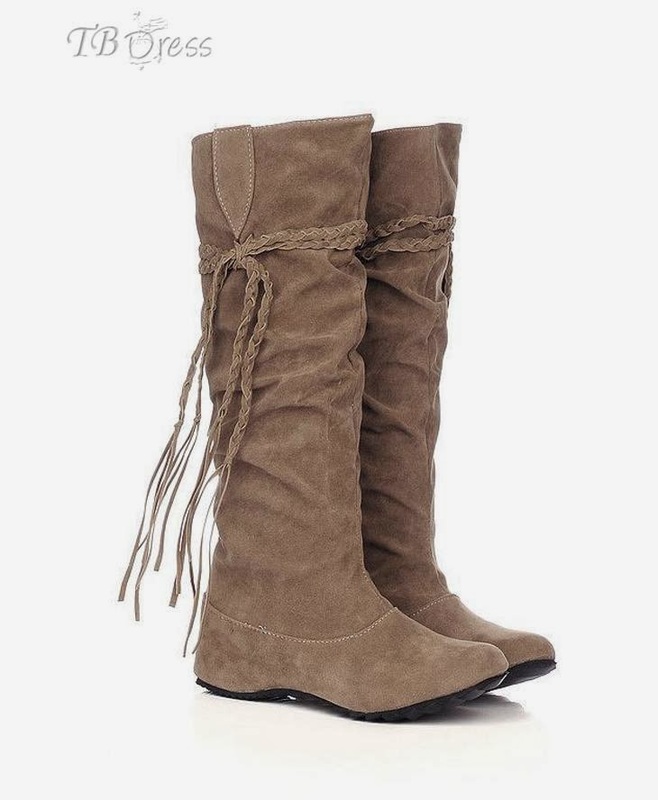 For more options and styles in boots, check out Tbdress Chrisstmas Boots here : http://www.tbdress.com/Cheap-Boots-100923/ . The website also offers various mid-heel shoes ( http://www.tbdress.com/Black-Friday-Mid-Heel-Shoes/ ) which are perfect for everyday wear. Which style of boots do you prefer? Let me know in the Comments below! Boots...boots...boots! I'm OBSESSED with boots!!! Ha ha ha! LOVE the post, girl! all these boots are gorgeous!! love the pairs!! the first boots are killer man ! !